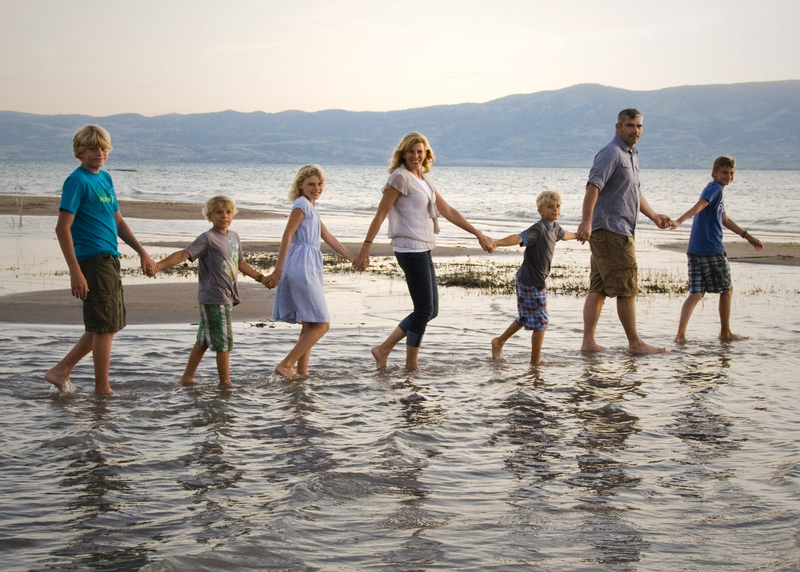 This is what I dreamed of when I got married and started to have children – a happy, lovely family enjoying great times, great relationships, beauty and peace. The peace we envision and crave as moms is often the exception rather than the rule. 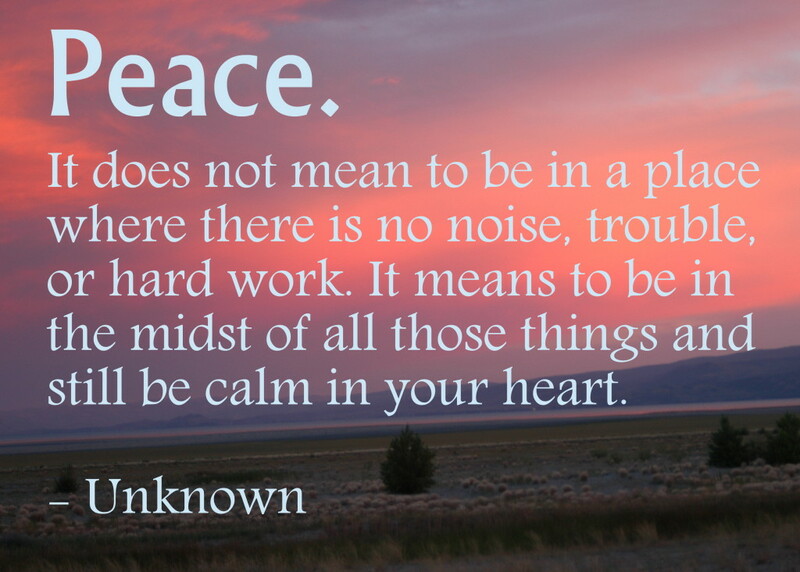 But peace is important — it’s essential to our sanity and to our ability to be the nice and effective moms we want to be. With a little extra effort, more peace in motherhood IS possible. How do we be calm in our hearts when our kids are crying and our minds are cluttered with worries about everything from finances to what to make for dinner to how a certain child is behaving? According to the wonderful writers of “Deliberate Motherhood,” the recipe for peace in motherhood involves large quantities of acceptance, patience and love. There are lots of wonderful tips and ideas in the book, but here’s a brief outline of some key points you can think about in your quest for peace. 1. Accept that motherhood is hard. There are hard parts to every job and motherhood is no exception. Once we go ahead and accept that it is going to be hard and get our expectations in the right place, it doesn’t seem quite so bad. 2. Accept imperfection. Perfection is a myth that we see on blogs, Pinterest and Instagram plus at school events and church when everyone is on their best behavior. Real life happens inside people’s homes, and it involves lots of messes and dirty faces and whining. Imperfection is normal. When we stop holding ourselves up to impossible and fake standards, we feel a lot more peace. 3. Accept your reality – both of them. We need to accept the hard stuff we have to deal with at this particular stage of motherhood and of life. But we also need to accept the beautiful realities we often take for granted as we count our blessings. 1. Know your triggers. As we think about what what sets us off, we can learn to pre-empt some of our impatience. Do you “loose your peace” more often when you’re tired? Hungry? When you’re wearing uncomfortable clothes? 2. Slow down. When we give ourselves a “time out” to think things through when we’re feeling crazed, learn to say no to some things so you can say yes to more patience, or simply take a deep breath before reacting to the hard situations we find ourselves in, we can keep our peace. 3. Set the tone. If we pay attention to how we speak and show children how to be patient in a tricky situation through our examples, everyone wins. My mom always says it’s important to envision ourselves as the eye of the storm and act accordingly. 2. Learn each child’s love language. As we observe our children, we can see what they most crave (acts of service? words of affirmation? gifts? touch? quality time?). As we work to give our children the love they need in the way they need it, they are more peaceful and so are we. 3. Make love part of the routine. We have to make habits of love or it can slip off our radar screen too often. We can incorporate simple “I love you” rituals as we drop kids off at school and tuck them in at night. These little rituals can involve blowing kisses, giving a special sort of hug or handshake, singing lullabies, and giving a quick, sincere compliment about something they did that day to each child as we say goodnight. 4. When the going gets tough, love harder. 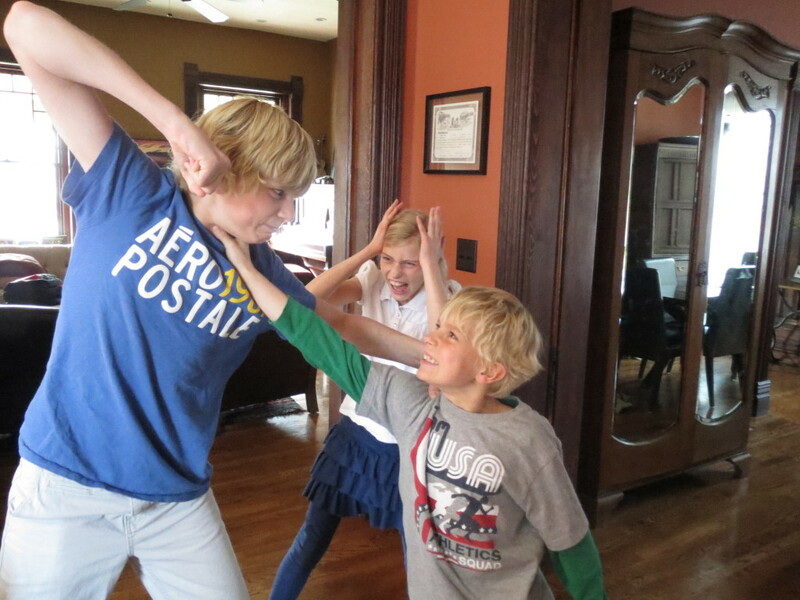 When our children misbehave, we often feel angry. But if we can respond with love, rather than anger, we’ll be much more effective. I remember seeing a friend grab her misbehaving 6-year-old, placing him on her lap, putting her arms around him (firmly but lovingly), and saying “I know you and I love you. This is not normal behavior for you. You are a kind and good boy. I know you know the right way to act. I’m excited to see how you’re going to make this right.” I’ve tried similar approaches, and it works MUCH better than yelling or berating or punishing. We can’t make the noise and worries go away. But we can learn to find peace in the midst of them. 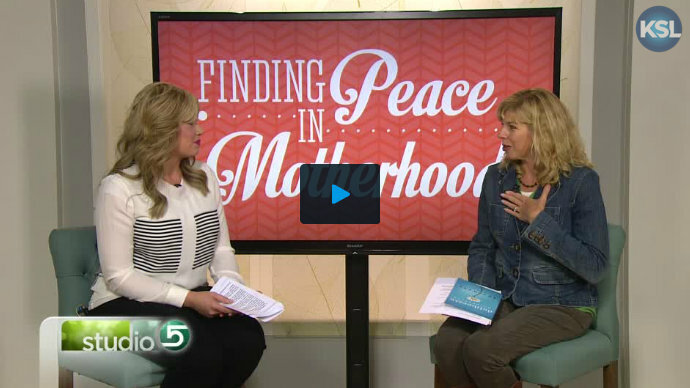 QUESTION: What are your biggest keys to peace in motherhood? CHALLENGE: Pick one area above to work on in your life this week.